This past summer I had the wonderful opportunity to observe and photograph polar bears in the Arctic for my first time. 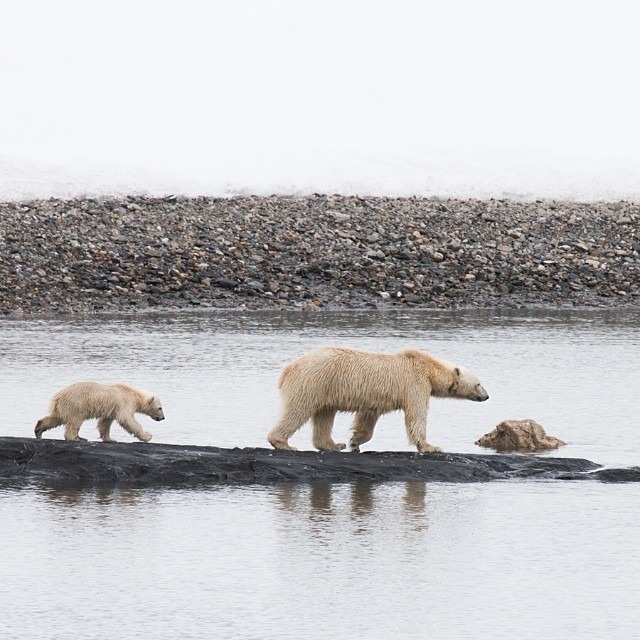 The mother and cub pictured here was actually my first polar bear sighting, and I remember this moment quite vividly and will probably never forget it. Seeing polar bears in the wild transformed me, and made me truly realize how fragile our environment is.